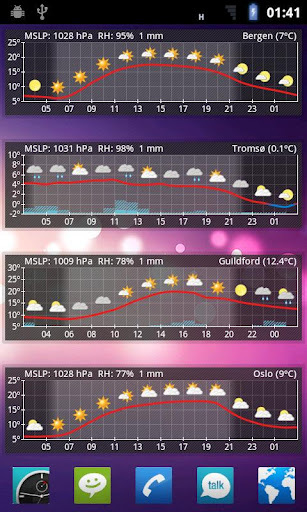 Overview: Aix is a pure homescreen app widget that shows temperature, maximum/minimum precipitation and sun rise/set times graphically to give you a compact and accurate forecast. This widget is designed to work in a portrait 4x1 format. It will work in 4x1 landscape, but this is not what the widget has been designed for. Improved tablet support will be added in the future.